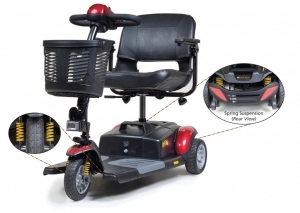 The next generation of the popular Buzzaround scooter series is now available with our comfort spring system! 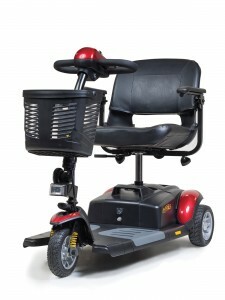 The Buzzaround XLS offers more standard features to make your riding experience better than ever. Features a wraparound Delta tiller, a new LED battery gauge and a new LED angle-adjustable headlight. 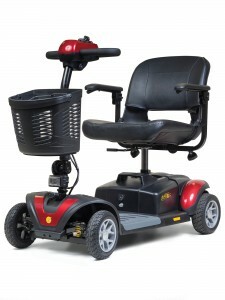 The new Buzzaround XLS is also longer and offers more foot room, still, with a great turning radius. The Buzzaround XLS disassembles in seconds with just four easy steps making transporting it from one destination to another a breeze!